Last week we dreamed about going from Revival to Reformation: How do I take the presence of God into my own mountain? We have a mental image of what revival might look like in a church meeting setting. But what does it look like in a business, or a classroom, or in a movie? Let’s imagine a business. The key ingredient of an anointing in a mountain outside the church is that it’s not just preaching or talk; it’s action. Knowledge is good, but insufficient. Wisdom is the application of knowledge to get something done. 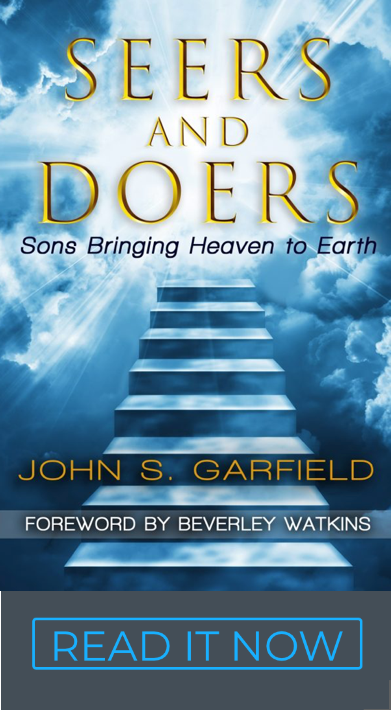 Joshua, Daniel and the seven chosen in Acts 6 are a few of the examples of men who knew how to get things done. The down side of not finding our Kingdom ministry in our mountain is that we are prone to be filled with head knowledge – puffed up by the letter of the law that kills. The wisdom heart connection – I want us to see an important connection between our hearts and wisdom. To fulfill our calling, we all need to make a heart connection and to work on what God wrote in our hearts, and find the synergism with what’s in the Father’s heart. Believers who are not connected with their hearts are typically prone to the shortcomings of revelatory head knowledge, and they have trouble defining any practical specifics regarding their own vocation / ministry. They describe the will of God for themselves with a vague reference to “doing what the Bible says” and point it back at you. The truth is that we can’t define our personal destiny with a Bible verse – it doesn’t work that way. It comes through a desire in our heart birthed in a relationship with Jesus. But, once we do connect with our hearts, choose a mountain and engage in a vocation that is our ministry, wisdom is the next stop. I want to suggest that our hearts are the origin of both our Kingdom desires and the wisdom to make tangible progress in that direction. Knowledge is of the head; wisdom is from the heart. The business – So what does all this look like in an anointed business that brings revival to a city and a nation? All businesses are built around a business plan, a product with value and a profit. Implementing that “plan” requires wisdom. Now imagine that our business has a plan that also represents a desire in the Father’s heart. Then, the wind of the Kingdom begins to fill the sails of our business. We’ve put the Kingdom first, and everything we need starts flowing toward us supernaturally and practically. Our business is no longer just a business; it’s a ministry. It blesses the people whom it touches. God’s presence is on it. Everyone can tell the difference. It feels just like revival; it’s exciting, it blesses people, and it has a miraculous ingredient. The stamina – The second reality of our business is that it gets tested. The euphoric idea that we will start a prosperous business with no complications isn’t a reality for at least three reasons. A Kingdom business draws some warfare. God likes to deepen the character of his people. And, economic cycles always require mid-course corrections for a business to stay healthy. It takes perseverance, maturity and wisdom from God. Survival requires that we love the desire of our heart expressed by our business. We love our dream and we have a deep faith that our initiative is in the heart of God – it’s our ministry! We’re not afraid to ask Him for help. The owner – Here’s something I’ve noticed. People who are already in business generally have a different entrepreneurial spirit of wisdom that sets them apart even if they aren’t saved. Some write off unsaved business men and women as greedy. A few are, but most are simply following the desire of their heart to a place of fruitfulness – That’s how God is building His Kingdom. When they do get saved, it’s a short step to connect the dots to their Kingdom purpose. God is way ahead of us. When a business is led by a believer who has a vision for the Kingdom, it looks like this. The homework – The challenge each of us face in this hour is finding our vocational calling… one that creates wealth, ministers to people, and blesses our cities and nation in a way that builds the Kingdom. Seeing the Kingdom is one thing. Entering the Kingdom is all about making something good happen in a spirit of wisdom and excellence. What does it feel like? …love. Wisdom manifested in a man is amazing and attracting and wealth-creating. It pulls people toward God. Solomon is Wisdom’s example; Proverbs is Her book. Your assignment is to look in the mirror and realize that Solomon in all his glory and wisdom was not cared for more than you… We just have to ask… in faith.